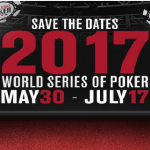 Prestigious World Series of poker Europe will kick off from October 19 and it will conclude on November 10, 2017. 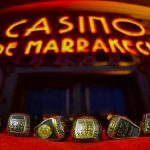 The tournament will feature 11 WSOP Gold bracelets for over €20 Million of prize money. 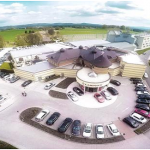 The tournament will take place at King’s Casino Rozvadov which was opened back in 2003. The casino is located in the German border and it is one of most trafficked place of Europe. The site is a perfect place for gamblers. The first event of this tournament would be €1,100 Monster Stack No-Limit Hold’em, which is €500,000 Guarantee event. The game will be available on three days that is on Oct. 19, 20, 21. Starting chip stack for the event would be 20,000. Second event of this tournament would take place on October 23 and 24 and the event is €550 Pot Limit Omaha 8-Max. 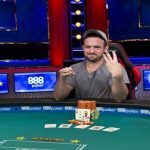 This would be a re-entry event and chip stack for the event would be 10,000. Third event of the torment will be a one day event i.e. €1,100 Super Turbo Bounty No-Limit Hold’em. The event will take place on October 25 and chip stack needed is 20,000. Fourth event of the tournament would be a €1,650 No-Limit Hold’em 6-Handed – single re-entry and for this required chip stack would be 30,000. The event will be on October 26. Event fifth would be €550 Colossus No-Limit Hold’em and this would be €2,000,000 Guarantee event. That game will be of a 10 starting flights. Players can make one entry per flight. The chi stack will be 10,000. The game will be on Oct. 27, 28, 29, 30, and 31. Sixth event of the tournament will take place on October 28. The game will be €2,200 Pot Limit Omaha 8-Handed – unlimited re-entry and required chip stack is 40,000. 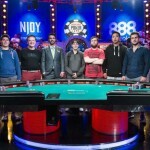 Seventh event of this series would be €1,650 Pot-Limit Omaha Hi-Lo 8 or better –re-entry. The game will take place on October 31 with 30,000 chip stacks. Event8:- will be of €1,100 Little One for One Drop No-Limit Hold’em – €500,000 Guarantee — 2 starting flights – re-entry. 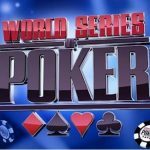 The game will be on November 1 and 2 with stack 20,000. Event9:- €25,000 No-Limit Hold’em High Roller – re-entry. 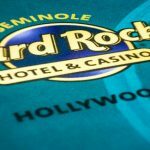 The game will be on November 1 with total 500,000 chip stacks. Event10:- Event 10 will be €111,111 High Roller for One Drop – €10,000,000 Guarantee – re-entry (111 player cap). 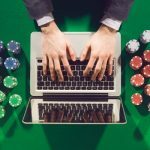 You would need 2,000,000 chip counts on November 3 to participate. Event11:- The last fight of the tournament would be €10,300 WSOP Europe Main Event. 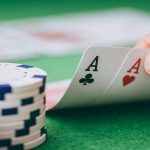 The event will feature €4,000,000 Guarantee. The game will take place on two days like on November 4 and 5. Total chip count needed would be 50,000.